By now, most Porsche racing fans are well aware that our favorite marque returns will host two factory supported LMP1 cars in the WEC next season. 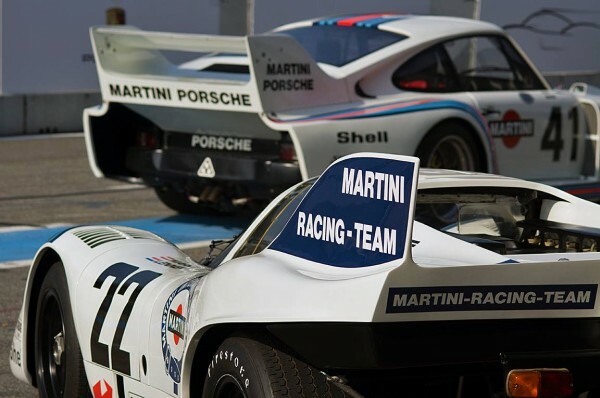 Comprised of a total of eight races, including the 24 Hours of Le Mans, these factory efforts signify the start of a longer-term involvement in this competition for Porsche. As Technical Director LMP1, Alexander Hitzinger (41) has been responsible for the development of the Porsche LMP1 racing car since the end of 2011. The engineer has acquired a huge amount of experience across a range of high-class motor sport categories – including positions such as Head of F1 Development for English race engine manufacturer Cosworth and, most recently, Head of Advanced Technologies at Red Bull. Andreas Seidl (37), Director Race Operations LMP1 for the Weissach-based works team, is putting together and structuring the newly created racing team in course of the ongoing test drives. The Bavarian Seidl was responsible for test and race operations at the BMW Sauber Formula 1 Team and was Head of Race Operations when BMW returned to DTM (Deutsche Tourenwagen Masters) series. From 2014, Andreas Seidl will take on the role of team principal of the Porsche LMP1 works team. There is also news in terms of the drivers: Porsche will compete with two LMP1 racing cars and three drivers per car next year. Currently, Timo Bernhard (Germany), Romain Dumas (France) and Neel Jani (Switzerland) are involved in the test drives. As of 2014, Australian Mark Webber is set to strengthen the LMP1 team. In addition, German Marc Lieb – the Porsche works driver from the GT program – and young New Zealander Brendon Hartley will be able to demonstrate their ability in the remaining 2013 test drives. A final decision about the further engagement of the two candidates will be made at the end of the year. To follow the preparations of the LMP1 works team ahead of its appearance in the WEC and the 24 Hours of Le Mans, visit the following website: www.porsche.com/mission2014. A host of exciting images, films, background information and even a multimedia journey through Porsche's motorsport history await visitors on the homepage. I vote for Patrick Long as a driver, he has paid his dues. He definitely has. However, his experience (as of late) is fairly GT centric and CORE will need factory drivers (especially those with a large fan base) for their season next year.